No entry will be accepted without payment in full. For studio entries, include only one payment with the entry forms. Payment must be made by one certified check, money order, or studio check. Entry payments made by Visa, MasterCard, or American Express will be charged a 4% processing fee. Entries received after the final deadline of July 20, 2019 may be charged a $50 late fee. Dancers who submit cancellations in writing by Wednesday, August 1st shall receive a full refund no later than 30 days after the event. 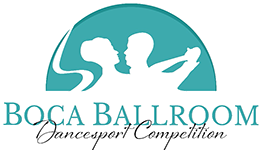 Dancers who submit cancellations in writing by Wednesday, August 8th shall receive a full credit towards the 2019 Boca Ballroom Dancesport Competition. Entries canceled on or after Thursday, August 9th are non-refundable and may not be substituted for other entries. All general admission and reserved tickets are non-refundable. Boca Ballroom Dancesport Competition, NoRush Productions LLC, Mark Nocera, Helle Rusholt-Yi, their employees, affiliates, associates or assigns, the National Dance Council of America and the World Dance Council will accept no responsibility for loss or theft of articles left in changing rooms, performance areas or seating areas. They will also not be held liable for injury sustained by persons attending this event. Everyone attending does so at their own risk. All persons attending this event, whether as spectators, competitors, officials or guests of the organizers, shall be bound by the National Dance Council of America’s Rules and Regulations, and by participating in this event, they automatically become obliged to adhere to them. The Organizers reserve the right to refuse admittance into the ballroom and/or entry in a competitive event to those who do not comply. The video taping of any event at the Boca Ballroom Dancesport Competition is strictly prohibited except for the official video company as designated by the Organizers except for Saturday’s Youth Session. Entrants consent to the use and release of their names and likenesses to be used in photographs, video streaming, television filming, and recording of the event for television broadcast or promotion of the event in any manner and by any means, now or in the future. Competitors from any country affiliated with the World Dance Council (WDC) may participate. Competitors from countries not affiliated with the WDC should contact the organizers for clarification. The Organizers reserve the right to combine or cancel any Professional, Amateur, or Pro/Am event with three couples or less. In the event of a cancellation, competitors will be duly notified in advance of such cancellation. The Organizers also reserve the right to halve the prize money awarded for Professional, Amateur, or Pro/Am events with three couples or less. Registration into Pro/Am Scholarships requires a minimum of one round of Single Dances equivalent to the number of dances in each Scholarship event. For example, registration into two Five-Dance Scholarships requires a minimum of ten Single Dances. Pro/Am and Mixed Proficiency Single Dances are divided into Gentlemen’s and Ladies’ events. Pro/Am Scholarships and Multi-dances such as World Dancesport Series events are combined male and female events. Student/Student competitors are Pro/Am competitors who dance as a couple during the Pro/Am Single Dance sessions. Student/Student competitors are not required to register with NDCA. Mixed Proficiency events are open to amateur competitors who do not have a regular partner. The competitor is referred to as the Single Partner. Only the Single Partner will be judged during the event. Pro/Am dancers registered in Proficiency events shall receive a composite judges’ score. They will not be judged against other couples. No couple is exempt from competing in any round of any event. Any couple that fails to appear for the first round of an event will be disqualified. Solo Exhibitions are limited to three minutes in length. Dancers must submit their music in advance via email, download, or USB flash drive. Competitors dancing in Syllabus events may only dance Bronze, Silver or Gold syllabus figures from the official NDCA syllabus or the approved syllabi of NDCA member organizations. Should any point arise which is not covered in the Rules and Regulations Governing Competitions and Championships recognized by the NDCA or in these additional rules, the Dance Rules Committee and/or the Organizers shall have the final say. Entry into Professional Rising Star events is limited to professionals who are eligible to compete Rising Star at the British, UK, International, and United States Closed and Open Championships. Entry is also limited to couples who have never won the Boca Ballroom Professional Rising Star event, won the Boca Ballroom Open Professional event out of a 6 or more-couple final, or made the final of the United States Closed or Open Professional Championships. The result of one style does not affect the eligibility for any other Rising Star event. Rising Star competitors are also eligible to enter Open Professional events at the Boca Ballroom Dancesport Competition. 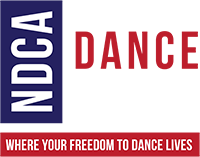 Professional dancers entering Professional and/or Pro/Am events must be registered with the NDCA. Overseas professional dancers must be registered with their country’s professional organization affiliated with the World Dance Council (WDC). Please contact the NDCA directly for more information regarding professional registration. Pre-Teen: Competitors who are 11 years old and younger. Pre-Teen competitors may dance up one age classification to the “Junior” category. Junior: Competitors who are 12, 13, 14 or 15 years old. Junior competitors may dance up one age classification to the “Youth” category. Youth: Competitors who are 16, 17 or 18 years old. Youth competitors may concurrently dance up one age classification to the Adult category, or in the case of an Open level Latin or Ballroom event, the Under 21 category. Under 21: Competitors who are between 16 and 21 years old. The only Under 21 events offered are Open Level Latin and Ballroom. Adult A: Competitors who are 16 years and older. Senior – over 35: Competitors who are 35 years and older. Senior – over 45: Competitors who are 45 years and older. Senior – over 55: Competitors who are 55 years or older. Rules for dress and/or costuming for Pre-Teen, Junior, Youth & Adult competitors must be followed as outlined in the NDCA rulebook.